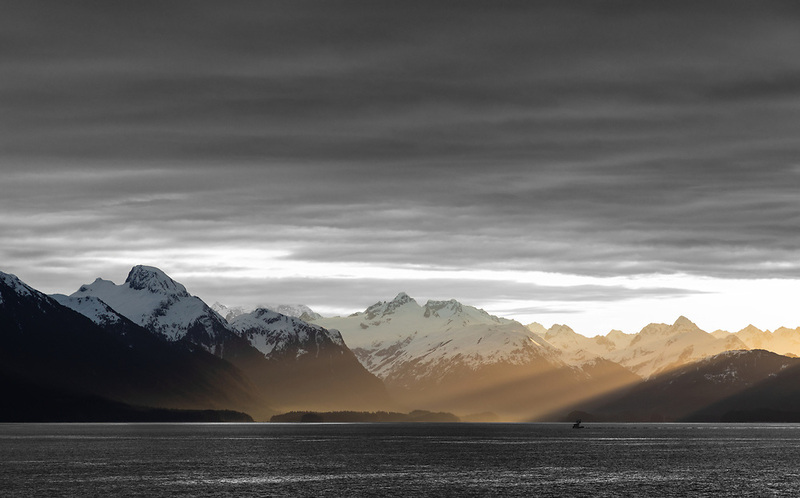 Crespuscular rays illuminate the Chugach Mountains and Chugach National Forest in Prince William Sound in Southcentral Alaska. Spring. Morning.